If you asked a bunch of bike racing fans to name the best-performing British continental-level riders in recent years, there would probably be some obvious picks. Connor Swift, the current national road race champion, might be the first name mentioned. Ian Bibby, a perennial achiever on the domestic scene, would be another. Tour de Normandie winner Tom Stewart would undoubtedly get a shout too. What about Daniel Whitehouse though? At just 24 years of age, Whitehouse has racked about an impressive list of UCI road race wins and has consistently been one of the highest scoring British continental riders in the UCI World Rankings. And yet, despite this apparent success, his media profile in the UK is barely traceable. He has bounced around from team to team, and across continents, ever since he started racing at the senior level. And to make ends meet, he works in a bar in his hometown of Christchurch, New Zealand. This fascinating set of contradictions highlights just how different life at the continental level of racing can be, compared with the World Tour pros we are used to reading about in glossy cycling magazines. His story offers insights into the ups, downs, uncertainties and sometimes harsh realities of life as a cyclist at the continental level of racing. When one of our followers on Twitter suggested we interview Daniel earlier this year, we got in touch with him, envisaging a short Q&A might follow. But when we spoke with him, it quickly became apparent there was more to tell and that Daniel was more-than-willing to tell it. So, in this multi-part feature and interview, we let Whitehouse tell the story of his cycling career so far. One that started as a schoolboy in Christchurch, took him to John Herety’s Rapha Condor JLT in his first year as an under-23, and then across to East Asia for four years. This season he rides for Ireland’s newest continental team, EvoPro Racing, a team that he seems to feel truly at home with. But more on that later. In this first part, we’ll introduce you to Daniel, his background and his palmares. And then we’ll hear from him about how he got into cycling, his breakthrough ride at the 2014 New Zealand Cycle Classic and his tumultuous first year as a continental-level rider with Rapha Condor JLT. Whitehouse, British-born but New Zealand-based, has racked up more UCI World Rankings points than most British continental riders over the last few seasons. Indeed, last season only national champion Connor Swift accumulated more. 2nd in the Tour de Beauce (UCI 2.2) last season. 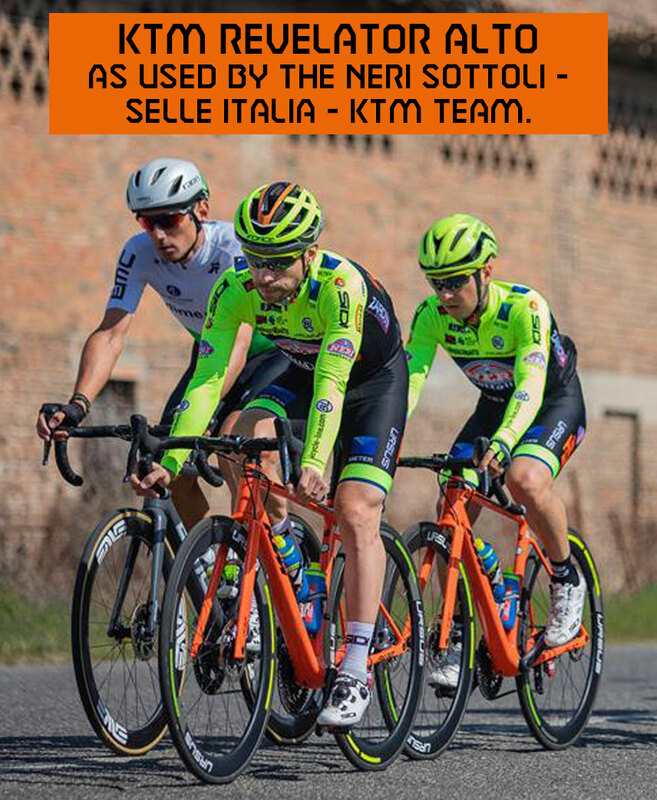 His first continental-level team was Rapha Condor JLT, which he joined in April 2014. After that, he raced for the Japanese Team UKYO in 2015, the Malaysian Terengganu Cycling Team in 2016 and 2017 and then Intepro Stradalli Cycling (another Japanese team) last season. This season he’s back with a European team, EvoPro Racing. Whitehouse was born in St Mary’s Hospital in Manchester, but moved out to New Zealand with his family in 1999 when he was four years old. He has a British passport as well as a permanent residency in New Zealand. He races as a British-registered rider because that is where he is officially a citizen. But he also holds a New Zealand racing license, a quirk that has enabled him to ride both the national road race championships in both Britain and New Zealand in the past. He first started racing bike through Christchurch Boys’ High School, which required pupils to play two sports through school, one in the summer, one in the winter. He played football as a summer sport. And his father suggested he took up cycling in the winter as it would be good cross-training for his football. Given your background, do you consider yourself British or Kiwi? That is not easily quantified. I suppose in my mind I am a dual national. But I view myself more as British-Kiwi than a Kiwi-Briton. My heritage is British, as are most of my principals, and I fall into most of the British definitions of personality easier than stereotypical Kiwi ones. But it’s not an easy thing to dismiss. The people who have helped build me into what I am doing now are largely from New Zealand. But there is no denying, I am British, if somewhat, or mostly, removed. How come you kept going with the cycling and not the football? I was never a super-talented footballer. I played in the top local division, but that’s not much of an achievement at 14, in all honesty. Having said that, I sure wasn’t a natural cyclist when I started. Talent was a very foreign word, and not one that applied to me in sporting respects at that age. But there was something charming about riding a bike. Some innate desire in me to be fulfilled was satisfied whenever I got on the bike. And I persevered. I started off as a bit-more-than chubby 13-year-old boy who really looked more at home on a computer chair, to a bike rider with an inclination for inclines. It was a hard decision walking away from football. But the bike rewarded effort so linearly. Every pedal stroke harder than the last directly correlated to me being faster. The work put in compounded and improved me more. And I was infatuated by the pursuit of becoming more. Throughout my time at Christchurch Boys, Gary McNaughton and Ian Millar did an astounding job for the young lads, I didn’t appreciate it at the time, no one really does. But the teachers at the school go above and beyond just to give the boys a better chance at achieving more. I’ve a lot to thank them for. Daniel, left, before the first stage of the Tour of New Zealand in 2012. And your first race as an under-23 was the New Zealand Cycle Classic in 2014. What team were you part of for that? And how did you get the ride? Toward the end of my tenure at high school I started racing for TotalPOS Solutions. It was a local team, run by lovely, local people, and Martin Ross [company owner and team manager] provided me with the platform to leap to more. At the time, TotalPOS raced in the local elite series. With the New Zealand Cycle Classic being a UCI 2.2 race, domestic teams can get a start and TotalPOS took the trip north. It was a heck of a learning curve, but the lads on the team really looked after me. That’s where I met John Herety and Rapha Condor JLT. Or, more accurately, that’s where my father made a nuisance of himself and made sure they knew of me and my heritage. I did quite well there [he finished 4th overall – Ed] and hobbled through the first few days on a lack of experience and an astounding lack of luck to go with it. However, the hill finish on stage 5 [the final, decisive stage] played out a little differently. I was let loose on the bottom of the climb, I paced it well and arrived into the headwind sprint with two others. Inexperience, compounded by a severe lack of sprinting ability, saw me lose the stage by half a wheel. But it was momentous. It was a proper bike race, with decent bike riders. And as such a young lad it was a good indication that I could one day make the grade. John was seemingly impressed enough to remain in contact with that performance, and when the lads at Rapha Condor JLT couldn’t keep it rubber side down, there was space on the roster that needed filling [Daniel joined the team in April that year – Ed]. I won’t paint a picture that isn’t true to what happened; it was rough, it was steep and it was a lot to manage for a very ‘green’ kid who had close to zero international racing experience. I travelled to the UK, then on to Azerbaijan [DNF on stage 1] and Japan [30th overall] with the team. After that, there was a spell at home in the UK before Kreiz Breizh Elites in France [DNS on Stage 2] and an understated trip to the US Pro Challenge in Colorado [DNF on Stage 2]. Being fair to John, I was a handful. I was new and naive to the strains off of the bike of professional bike racing. I wanted to improve in every avenue, and that transpired in a way that made me seem too headstrong and stubborn. At the time as well I was debilitated by consistent gastric troubles. In the end, it turned out it was just a fructose intolerance, one which has since passed. But it wasn’t diagnosed well, and it got to the point where I couldn’t eat two-thirds of the food on offer. Daniel Whitehouse shortly after signing for Rapha Condor JLT. In John’s own words, it was going to be a tough pursuit for me as a cyclist. He was right, that kid who seemed he was too keen, and could only eat oats and pasta without trouble, was in the ‘too-hard basket’. The Pro Challenge didn’t end well for me, my experience was lacking and I found myself quite literally chilled to the bone on the second stage. I left Colorado with an uncertain remark [from John Herety]. It went something along the lines of (and I’m paraphrasing here), ‘you’d be more suited to the racing in a club team in the south of France or Italy … but we do have the racing calendar with races that would be good for you too’. Read Part 2 of the interview, which follows Daniel’s career from 2015 to 2018, a period when he rode for Japanese and Malaysian-based teams.